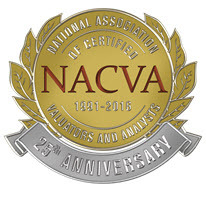 The National Association of Certified Valuators and Analysts™ (NACVA®) celebrates 25 years of service to the accounting and consulting profession in 2016. NACVA’s Silver Anniversary conference, co-sponsored with the Consultants’ Training Institute™ (CTI™), is themed, Strong Foundations Build Bright Futures, and will be held June 8–11, 2016 at the iconic Hotel del Coronado in San Diego, CA. Steve Forbes, Chairman and Editor-in-Chief of Forbes Media and bestselling author, will deliver the conference keynote address, Navigating the Economy for Business Growth and Success, on the morning of Thursday, June 9, 2016. Forbes leads the most successful business news magazine in America. In both 1996 and 2000, he campaigned vigorously for the Republican nomination for the U.S. Presidency. Key to his platform were a flat tax, medical savings accounts, a new Social Security system for working Americans, parental choice of schools for their children, term limits, and a strong national defense. Mr. Forbes continues to energetically promote this agenda. Throughout his tenure, his keen ability to provide economic insights on the big issues of the day has been trusted by business leaders around the world. In this opening keynote address, Forbes will discuss the current economic situation and provide insights and strategic advice for business growth and success. Senior Judge David Laro, U.S. Tax Court, will deliver the general session address, Finding Resolution Through Concurrent Witnessing—Hot-Tubbing with the Judge and Expert, on the morning of Friday, June 10, 2016. Recently judges have been using new tools, from court-appointed experts to “hot-tubbing,” to aid them in sorting through the conflicting positions in order to get to the essence of the matter. Rather than the traditional cross examination lawyers use to trip up experts, the Judge sits in the courtroom and has a conversation with the experts without the lawyers. Honorable Judge David Laro will co-present this session with valuation expert Mel Abraham, who has represented the IRS as their valuation expert in many cases and has been jointly retained by taxpayers and the IRS under the authorization of the U.S. Tax Court. Judge Laro and Mr. Abraham will discuss these tools, and how to prepare expert witnesses in this evolving environment. Judge Laro was appointed to the U.S. Tax Court, confirmed by the Senate, and invested as a federal judge in November 1992. He formerly practiced law in Flint, and Ann Arbor, Michigan for twenty-four years specializing in tax law. The four-day conference will explore technical business valuation, financial forensics, healthcare valuation, succession and exit planning, and practice management topics as well as current trends in the profession, business applications, and effective communication of complex financial concepts. “Over the years, NACVA has pioneered the profession and held a leadership position through the establishment of guiding professional standards and by offering robust continuing professional education and certification programs, that have served and will continue to serve, in the role of educating our profession’s best,” states conference co-chair, Bob Grossman, CPA, ABV, ASA, CVA, CBA with Grossman Yanak & Ford LLP in Pittsburgh, PA.
Conference details can be found at www.AnnualConsultantsConference.com. The National Association of Certified Valuators and Analysts (NACVA) is a global, professional association that delivers training and certification in consulting fields such as business valuation, financial litigation forensics, expert witnessing, forensic accounting, fraud risk management, mergers and acquisitions, business and intellectual property damages, fair value, healthcare consulting, and exit strategies. NACVA is a member of the Institute for Credentialing Excellence™ (ICE™). NACVA’s Certified Valuation Analyst® (CVA®) designation is the only valuation credential accredited by the National Commission for Certifying Agencies® (NCCA®), the accreditation body of the Institute for Credentialing Excellence. Other professional certifications offered by NACVA include the Master Analyst in Financial Forensics™ (MAFF®) and the Accredited in Business Appraisal Review™ (ABAR™) designation. Visit www.NACVA.com to learn more. The Consultants’ Training Institute is comprised of leading experts in the fields of business valuation, financial forensics and forensic accounting, mergers and acquisitions, healthcare valuation and consulting, and a variety of other related business consulting disciplines. As the most widely respected professional training organization, the CTI combines hundreds of years of practitioner experience with academic insights to produce benchmark training and certification in the accounting and financial consulting industry’s hottest growth niches. To learn more, visit www.theCTI.com.